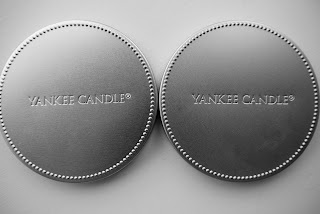 If you read my post on the Ashford Designer Outlet, you will know that a highlight for me was the Yankee Candle store. I'd always wanted to buy something from the brand, but I was so reluctant to spend that much on a candle! Luckily, the prices at Ashford persuaded me to buy two and now I am absolutely hooked! I got these beauties for just under £6 (normally £9.95) and they burn for approximately 35-45 hours. They smell soo good! The Red Berry & Cedar is a Christmas scent, but is lovely to use on any chilly/rainy day (which we have a lot of here!) in my opinion. The Wild Passion Fruit is quite the opposite. It is very fruity (as the name would suggest!) but is equally just as gorgeous as the red. Candles are very much like perfumes, everyone has a different opinion of what is nice and what's not. If you are ordering online and want something that is not as polarising, I would suggest something like 'Fluffy Towels' or 'Clean Cotton'. Basically any of the white coloured ones. They are the lightest scents and most are quite hard to dislike I think. I am officially a candle lover!